Ian Smith found Crossfit in 2011. Before CrossFit he was doing P90x with some success and lifting weights at a globo-gym. 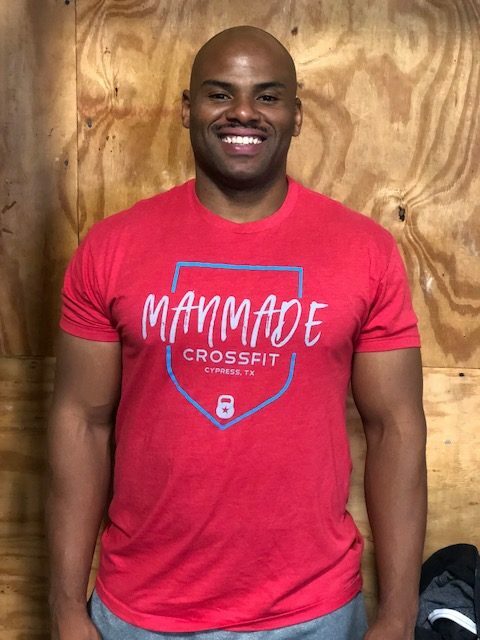 After working out on and off for about three years he fully committed himself to a Crossfit program in March of 2013 and hasn’t looked back since. He wanted to compete in the sport of Crossfit so he dedicated himself to a new eating route and training regimen. Ian is married with 2 kids and is CPA by day. At night (and early morning, and weekends) he eats and trains for performance. He is a graduate of Sam Houston State University and Klein Forest High School. “I am happy to be apart of the Manmade Crossfit Team.